MATHY-M is a high-performance motor oil additive that significantly increases reliability and service life of boat engines. The addition of MATHY-M to the engine reduces wear many times over and increases the performance of the machine. There are less costs for maintenance and repairs. The optimum operation of the units often even reduces fuel consumption. But first of all, the skipper is happy about the quieter engine run with less vibration. The boat engines and other units will run quieter with less vibration. Usually, you can already notice difference a couple of minutes after the addition of MATHY-M. The engines will start better which is especially perceptible after a long downtime (e.g. winter storage and when starting the auxiliary engine of a sailing boat). Reliable lubrication is guaranteed at the start of the engines. This is especially important in boat engines, which are frequently started and run for short periods only. The operating temperature of the boat engines is significantly lowered by MATHY-M. After cooling, the engine is ready for use again. Boat engines operated with MATHY-M are less prone to repair and have a longer service life. Depending on the technical conditions of the engine, more operating power can result. Reduced friction on drive motors and servo units can also cause a reduction in fuel consumption. Why should boat owners supplement engine oils with MATHY-M engine oil additive? 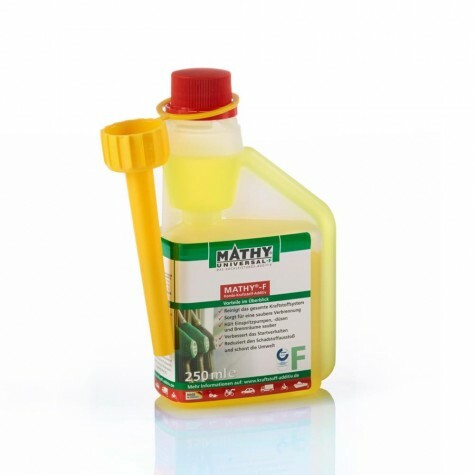 The addition of MATHY-M to all commercial engine oils results in an improvement of the lubricating effect. 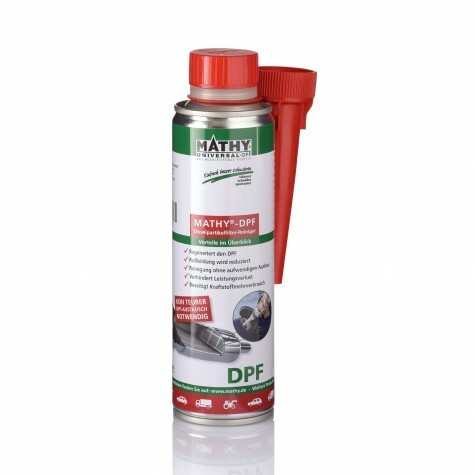 MATHY-M improves the compressive strength of commercially available engine oils. 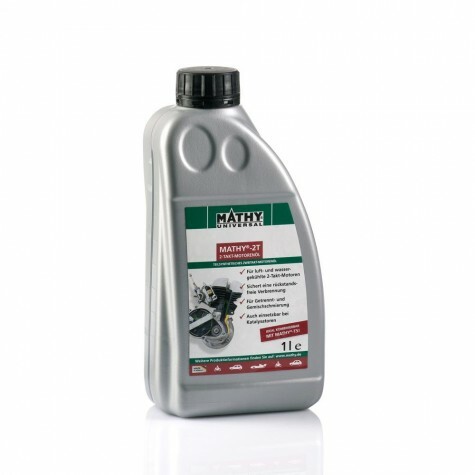 This reduces friction and wear, and increases the reliability of engines. On board, vibration and noise are reduced. The emergency running characteristics of the engine oil is significantly improved by MATHY-M. MATHY-M has the same effect on hydraulic systems, compressors, and other units aboard. 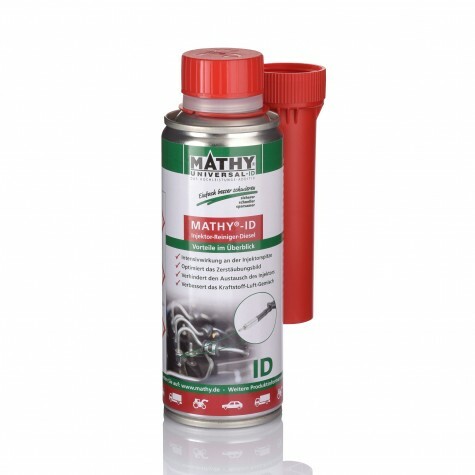 The addition of MATHY-M results in a significant improvement of the corrosion protection and can be applied to all commercially available engine oils. The creeping properties and adhesiveness of an oil complemented with MATHY-M is higher than that of any commercial engine oil. 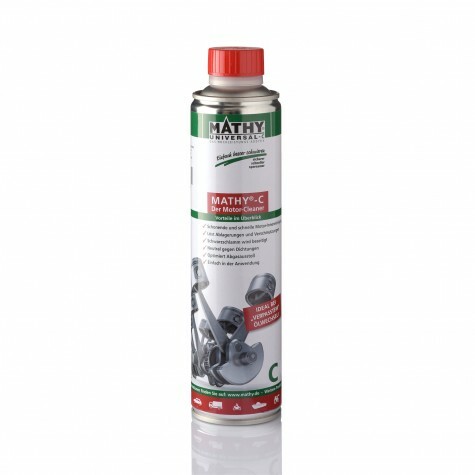 For instance, during a winter break the MATHY-M oil mixture adheres longer and seamlessly to the metal surfaces. It does not run off like other oils. In addition, MATHY-M penetrates the crystalline surface of metals. 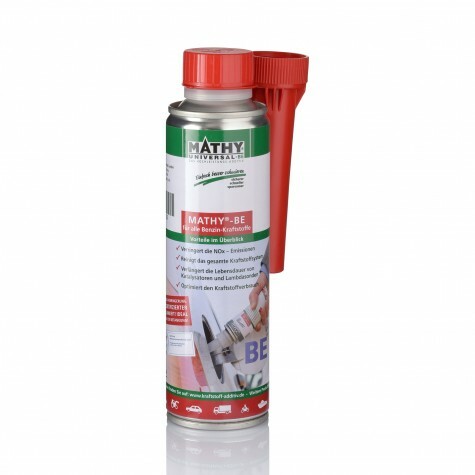 As a result, MATHY-M’s corrosion protection remains intact even during long downtimes. The addition of MATHY-M entails a cleaning effect. As a result, encrustations and varnish formations (stuck piston rings) are dissolved in the engine. They are removed from the engine with the prescribed oil filter changes. New deposits and varnish formations are prevented by MATHY-M.
How is MATHY-M used in boat engines? After the oil change add 10% MATHY-M engine oil additive to the fresh engine oil. After the first warm-up, MATHY-M enters into a solid hydrocarbon-based compound with the engine oil. This connection is kept stable until the next oil change. In which other areas of the boat can MATHY-M also be used? It can be used in hydraulic systems, generators, pumps, control aids, auxiliary motors, servos, etc. MATHY-C is a highly effective engine cleaner which is used for flushing and cleaning petrol / gasoline and diesel engines (even with catalyst and turbocharger). MATHY-C is particularly effective in removing sludge deposits (black sludge) in the engine. Special cleaning additives dissolve deposits and dirt, which can then be drained with the engine oil during an oil change. MATHY-C is the right product if you missed the last oil change!